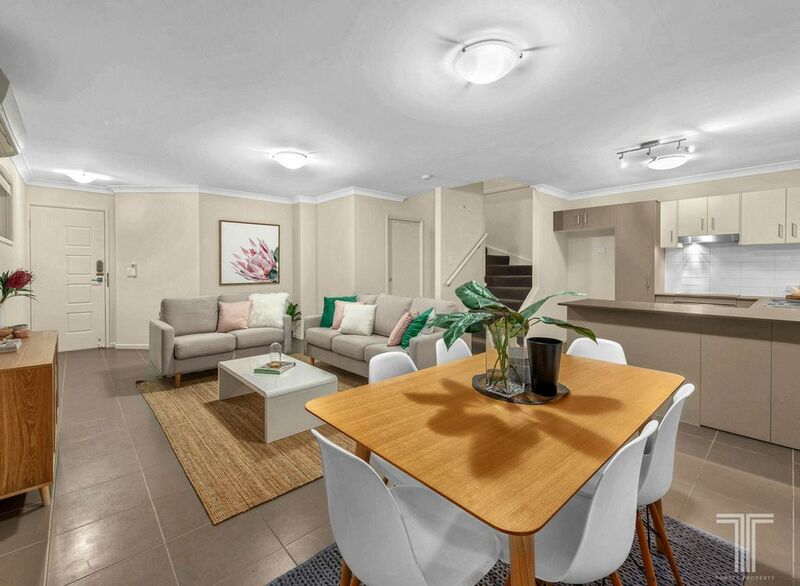 Set within a resort style complex with wonderful amenities, this lovely townhouse offers easy care, low maintenance living. 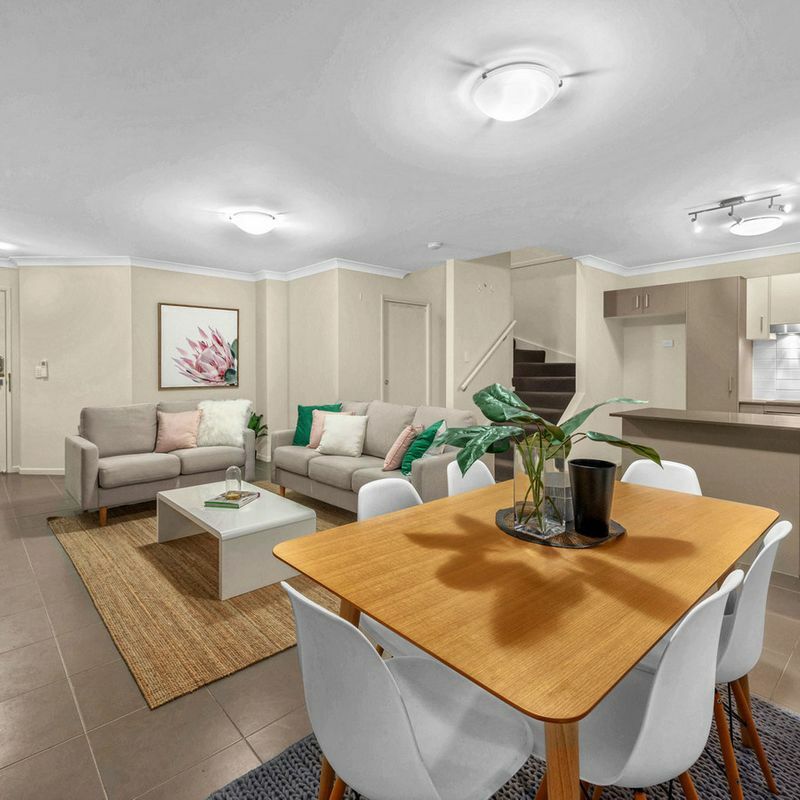 Spanning two stylishly designed floors, the townhouse’s lower level features warm, neutral interiors and a spacious lounge and dining area. 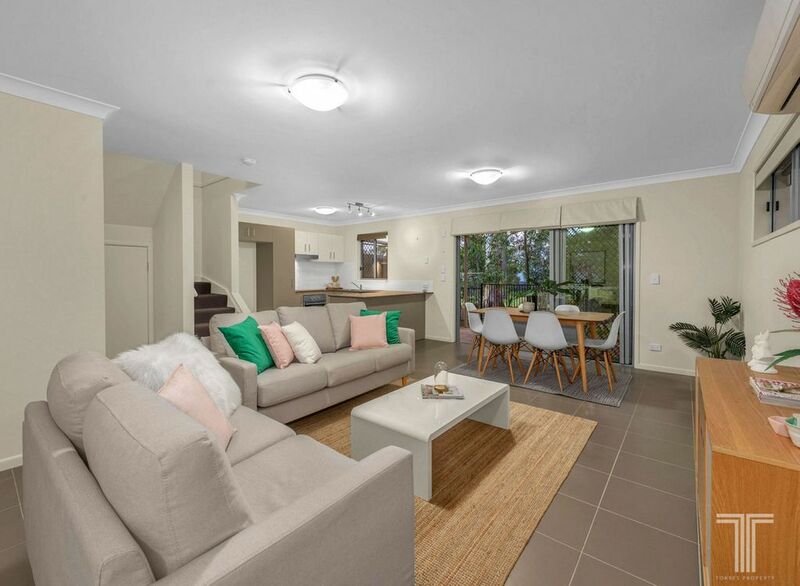 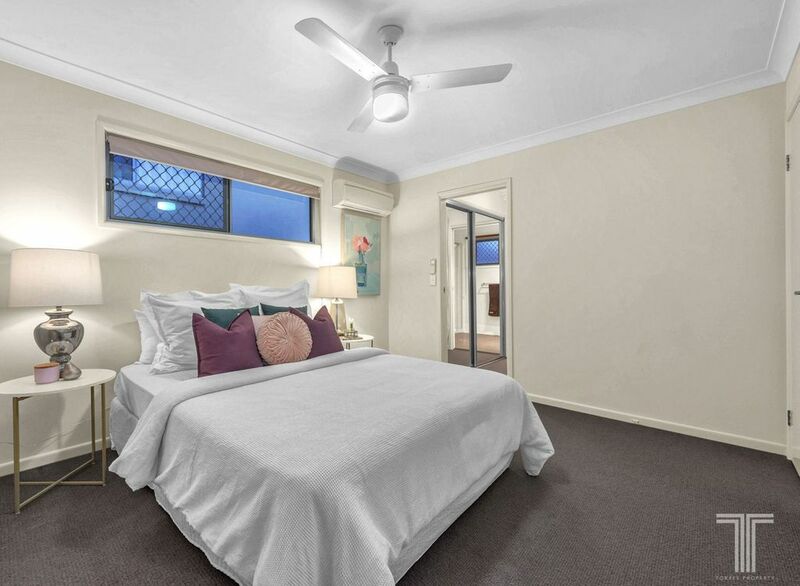 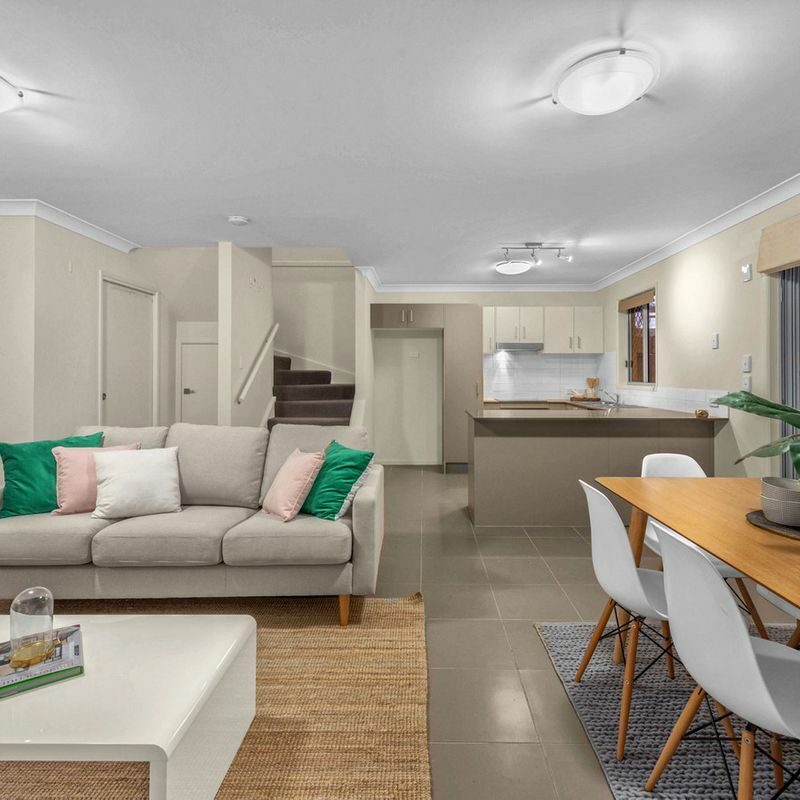 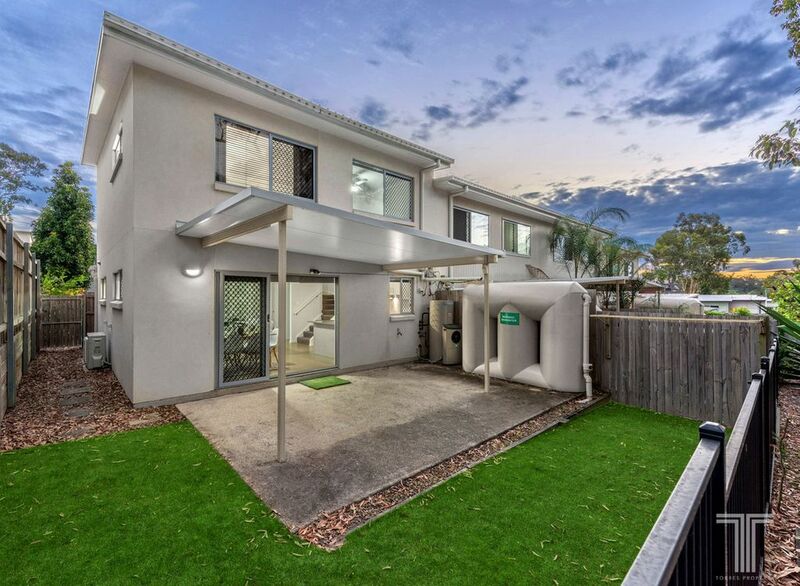 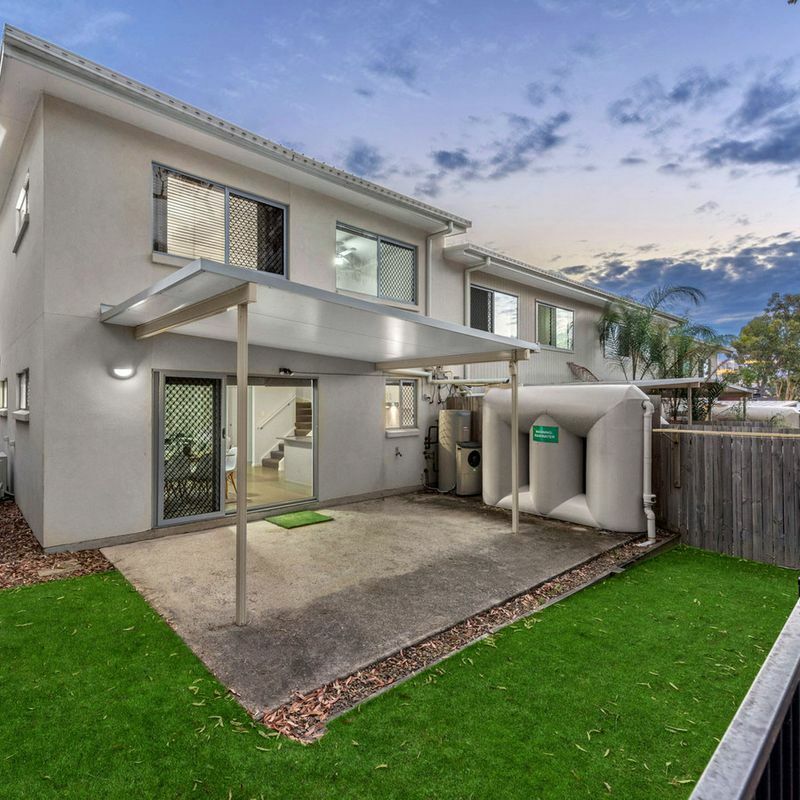 Adjoining the well-appointed kitchen with wraparound benchtops, stainless steel appliances and breakfast bar, this central living space is kept cool with air-conditioning, tiled flooring and extends outside via sliding glass doors. 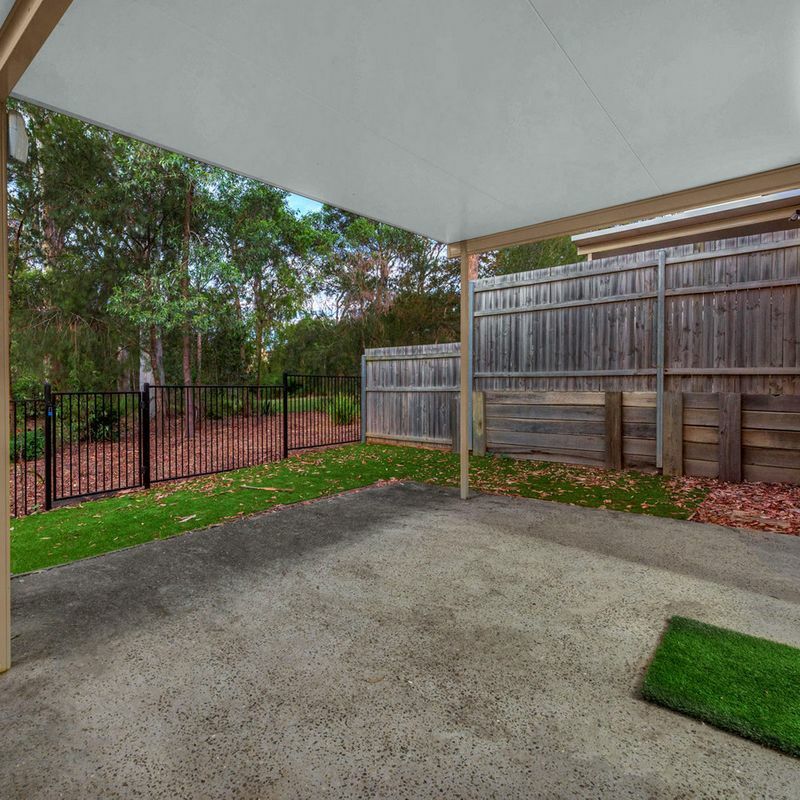 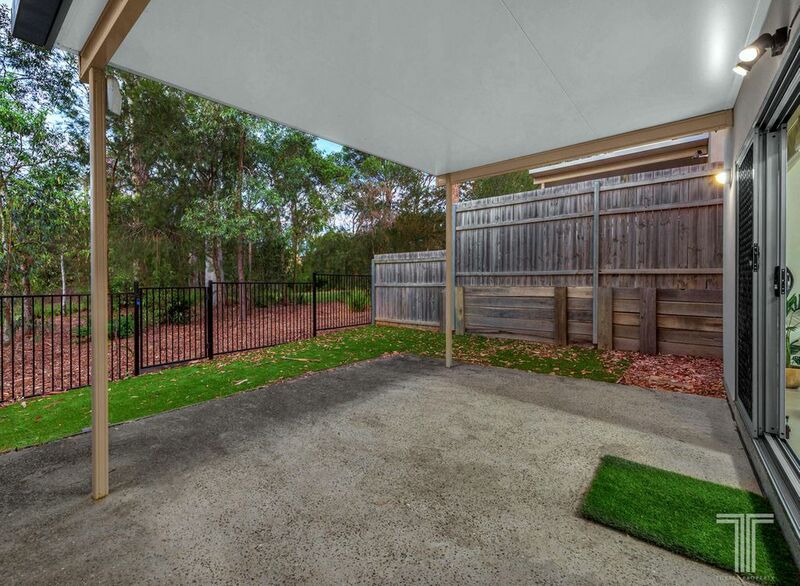 Enjoying a covered patio ideal for BBQ’s, the north-facing outdoor entertaining area features a low maintenance backyard with artificial turf and overlooks tranquil, lush greenery. 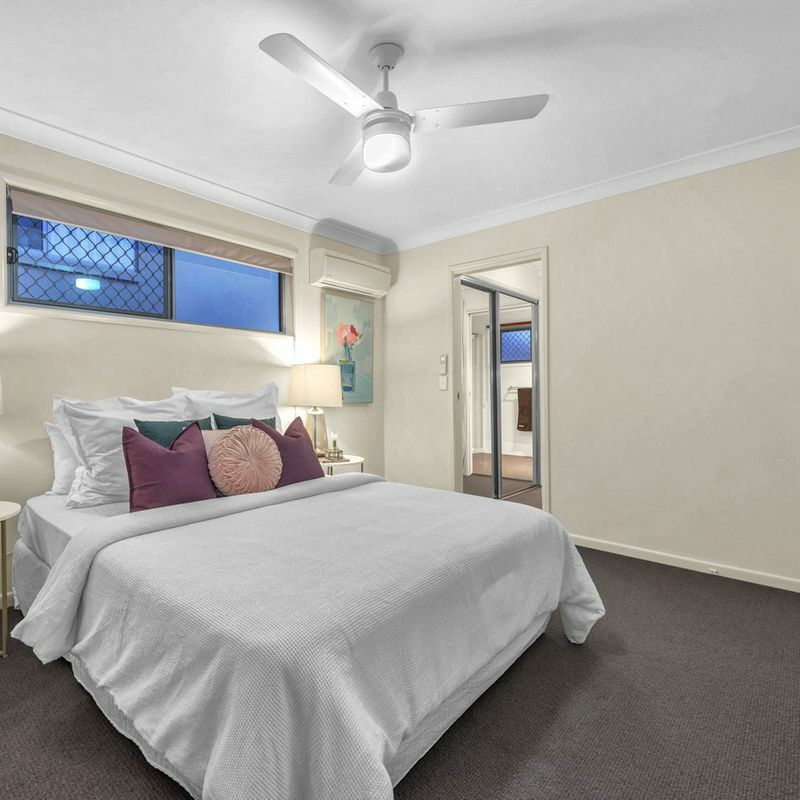 Upstairs, the master bedroom is spacious in size and boasts a private ensuite and walk-in robe. 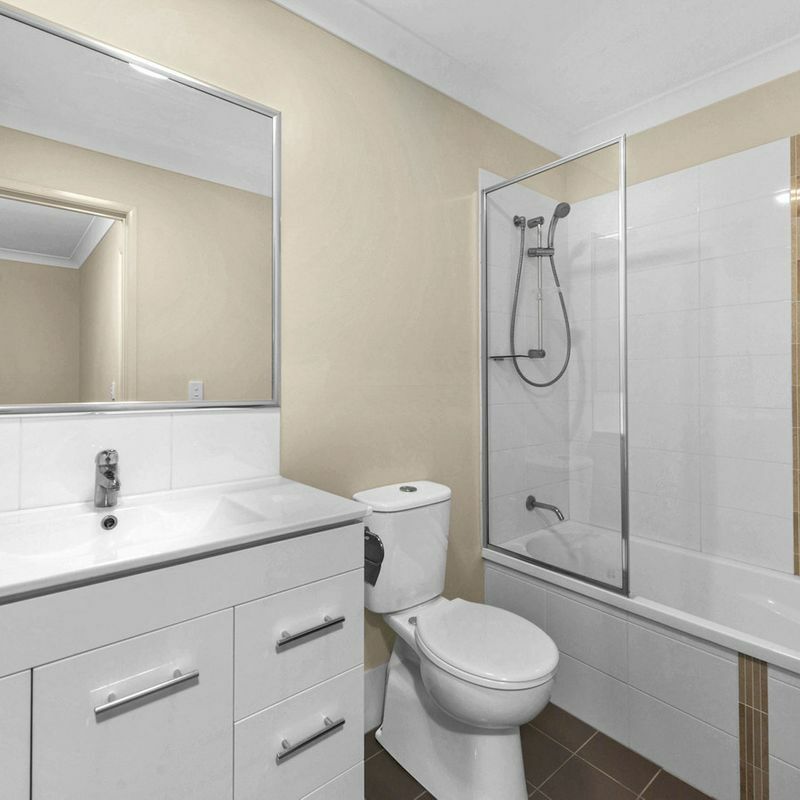 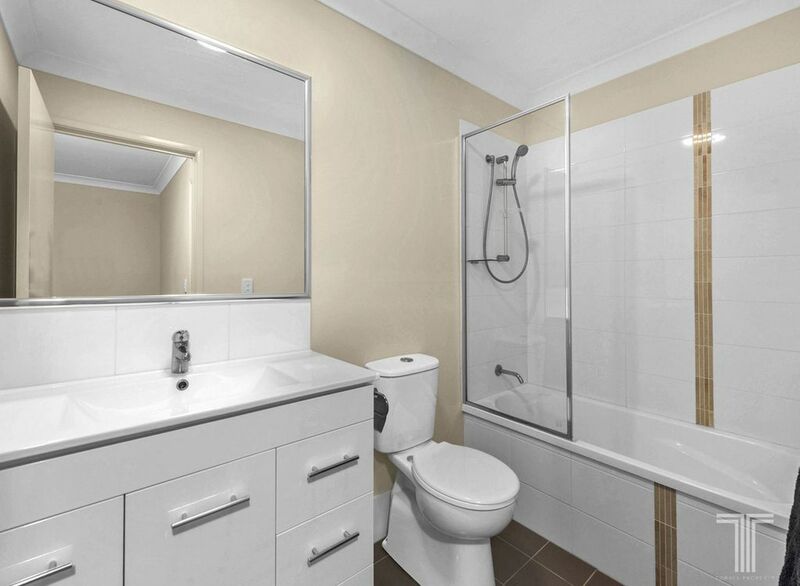 The additional two bedrooms include built-in robes and are serviced by the main bathroom. 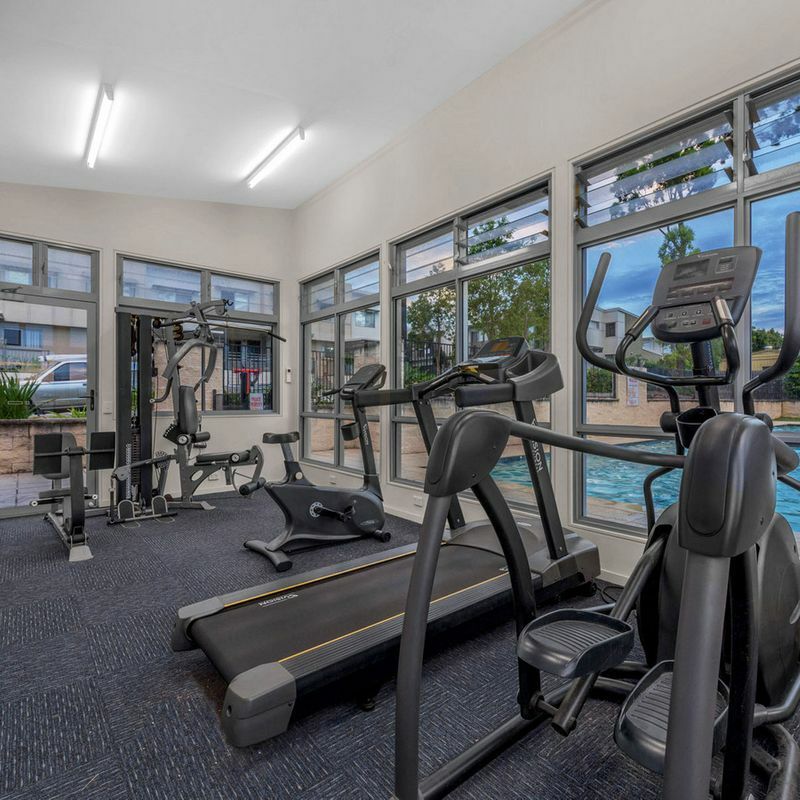 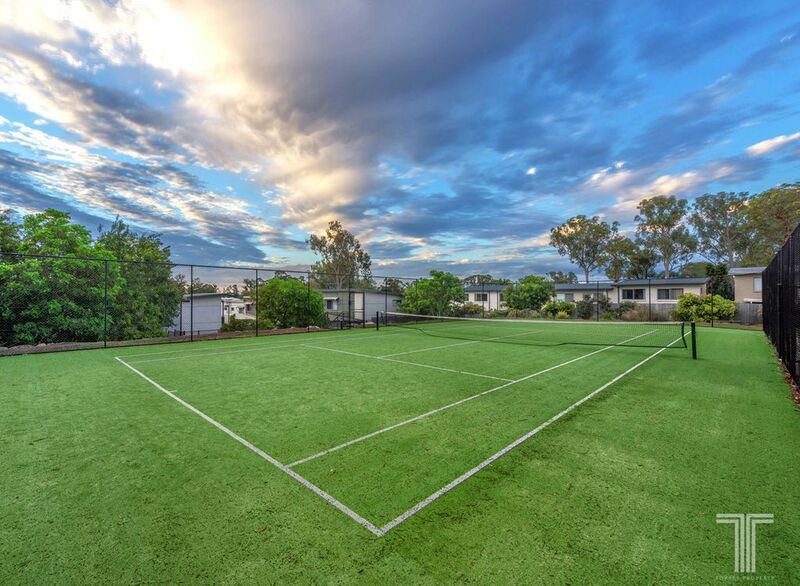 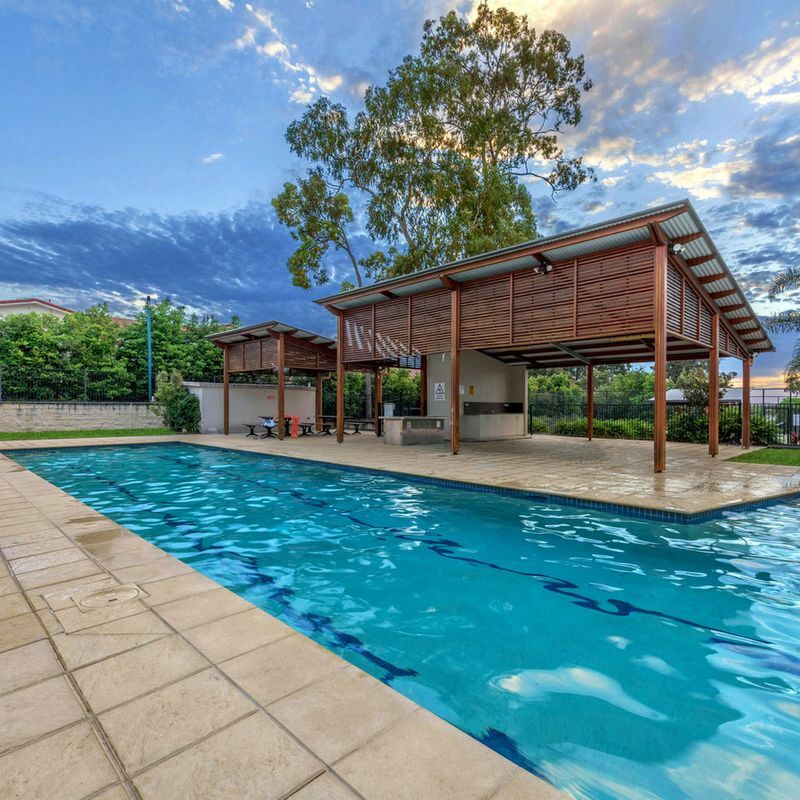 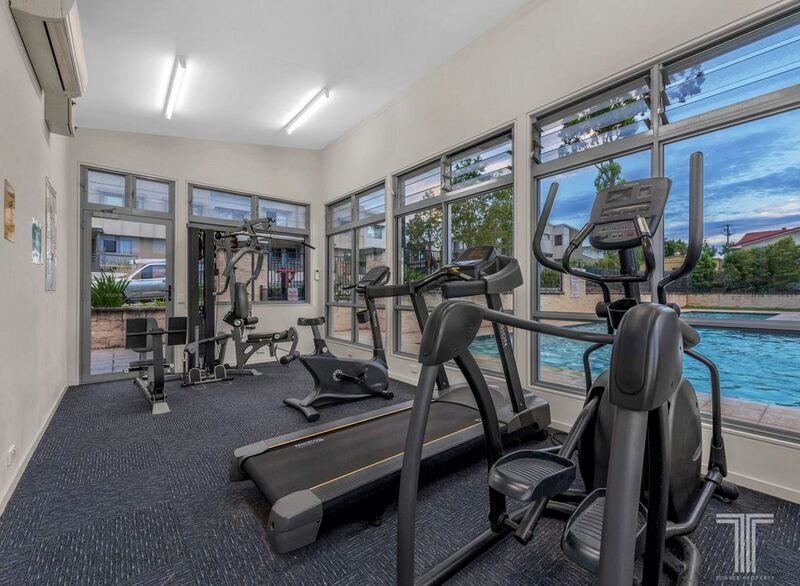 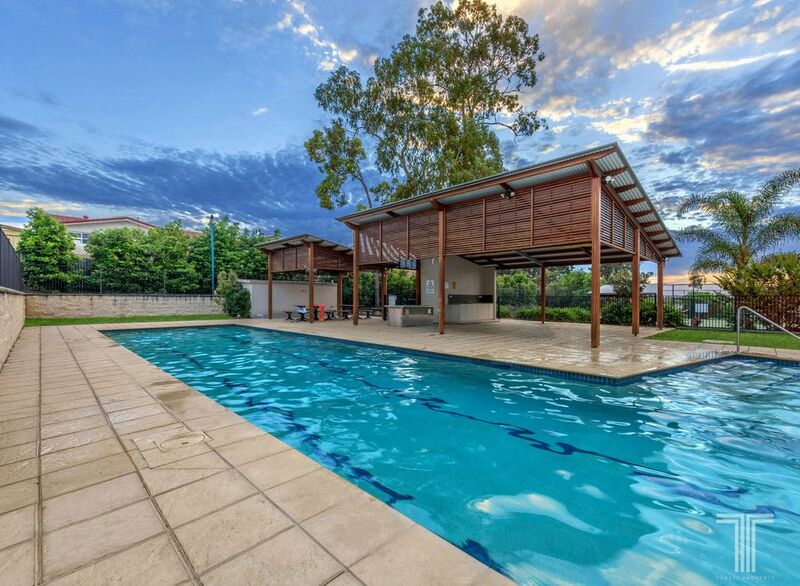 Complete with resort style amenities, this complex offers residents and guests a relaxing pool with BBQ area, tennis court and fully equipped gym. 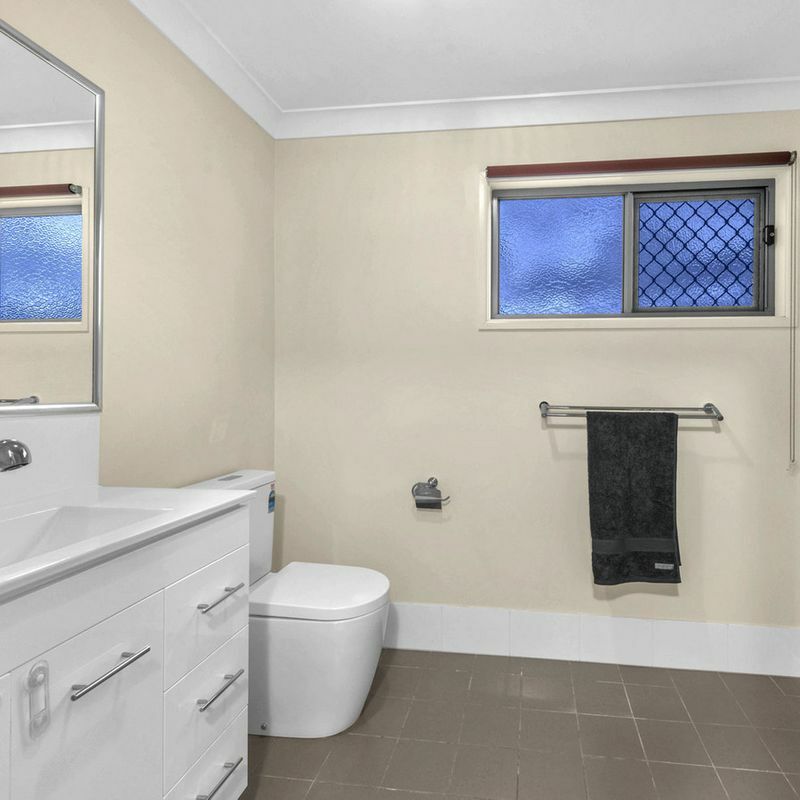 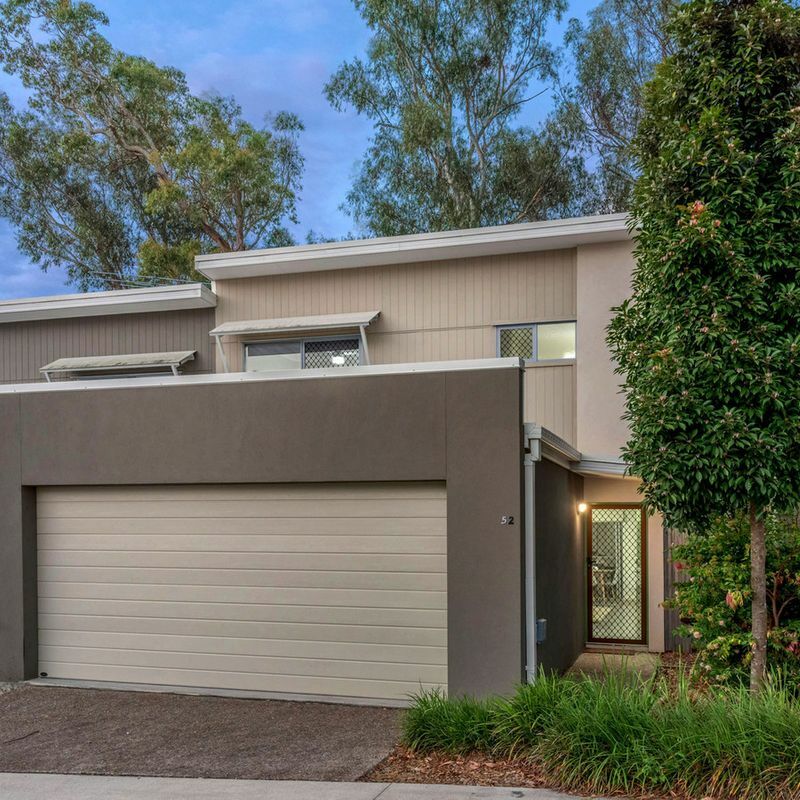 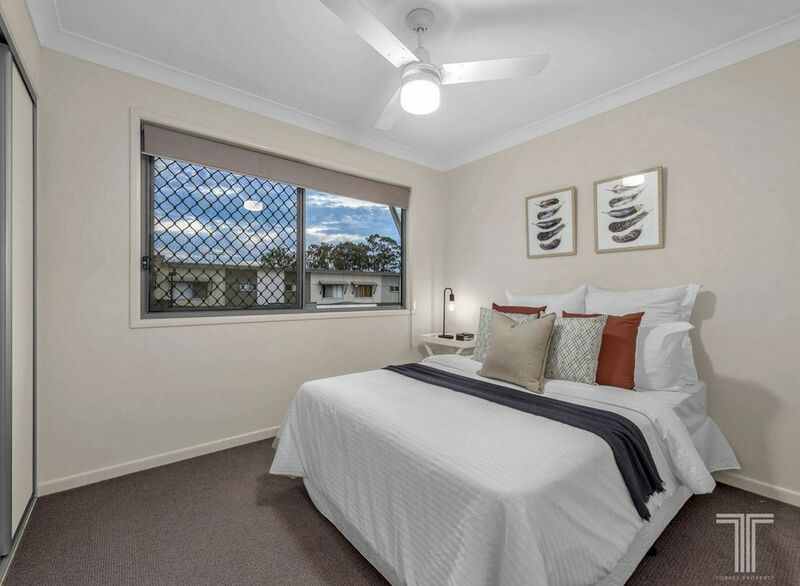 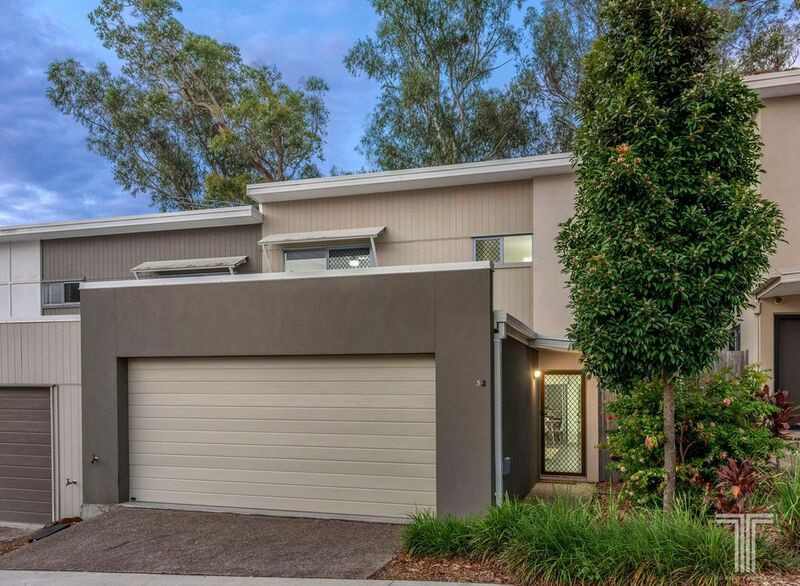 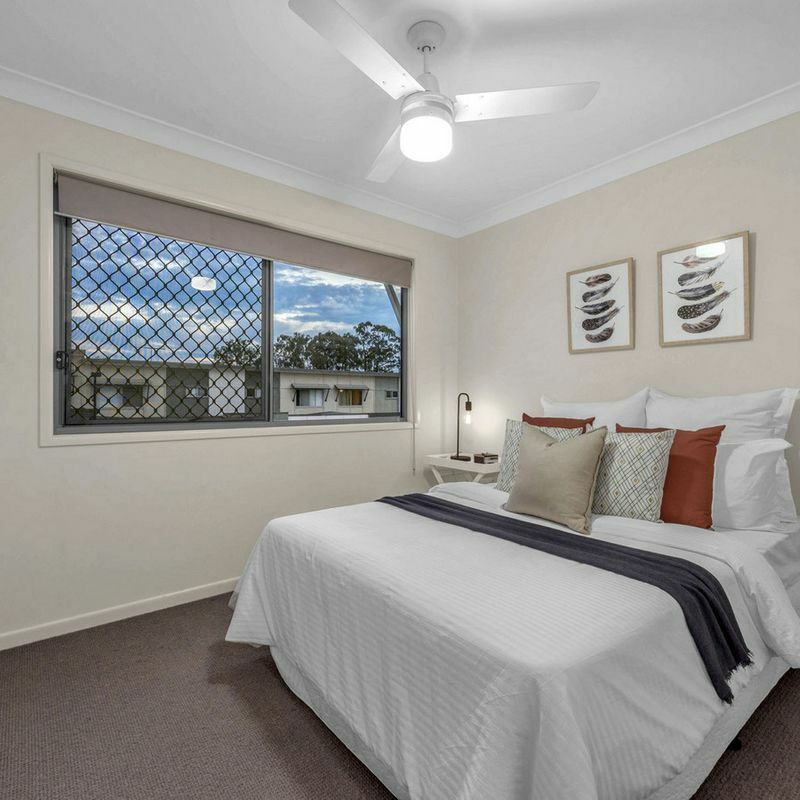 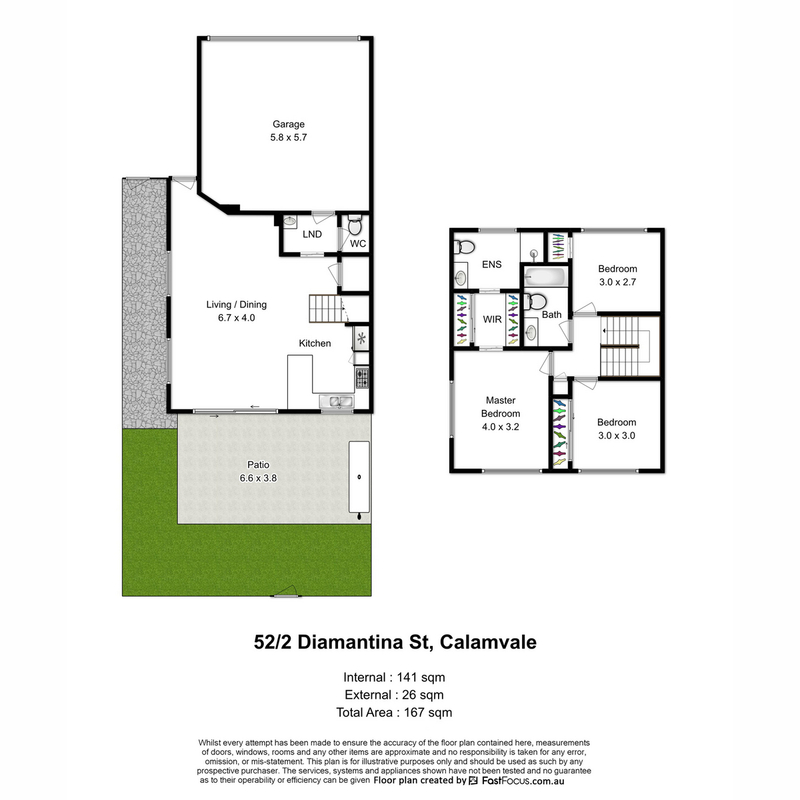 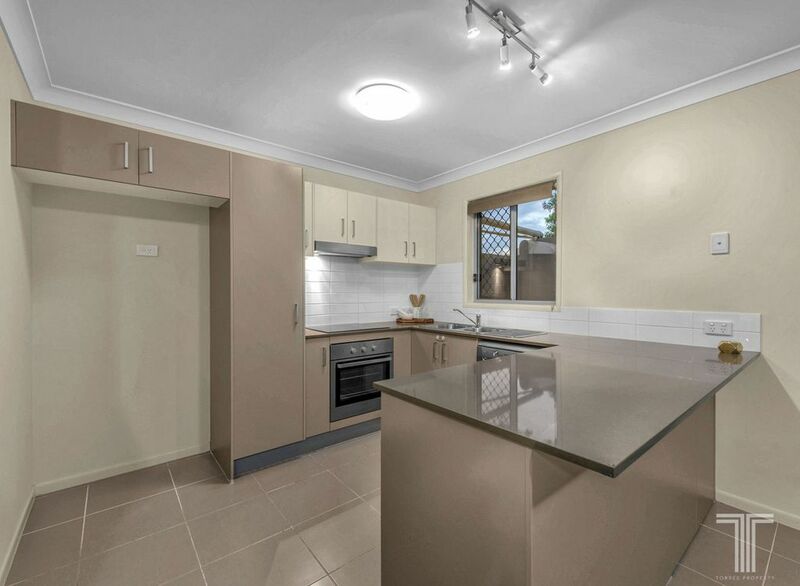 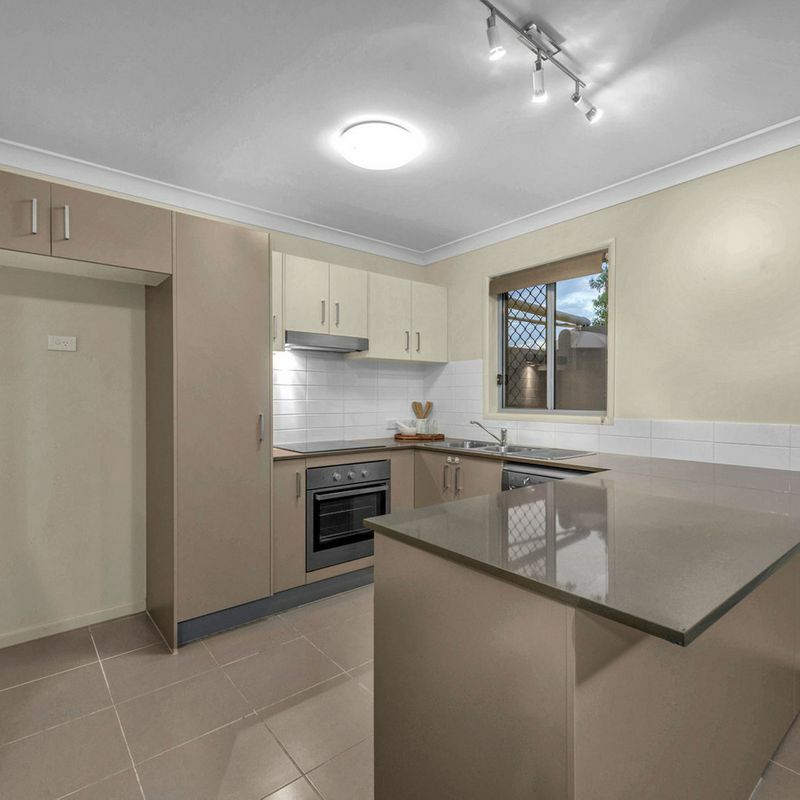 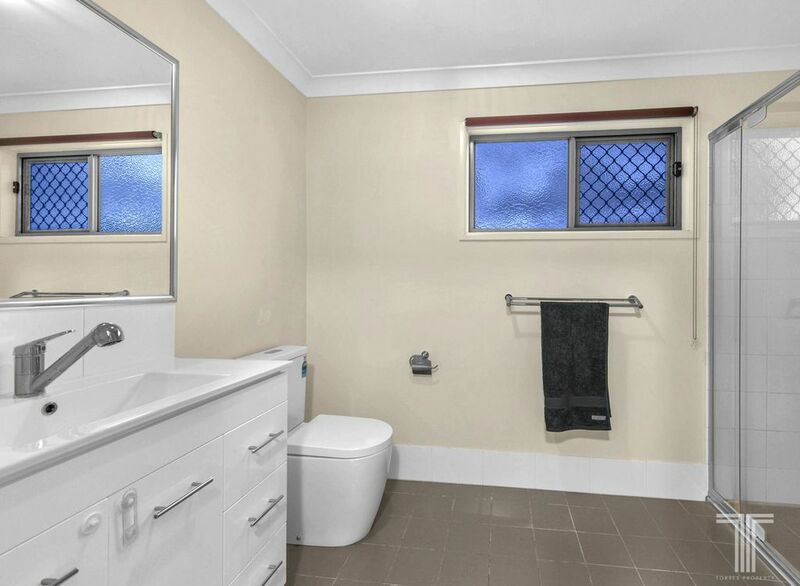 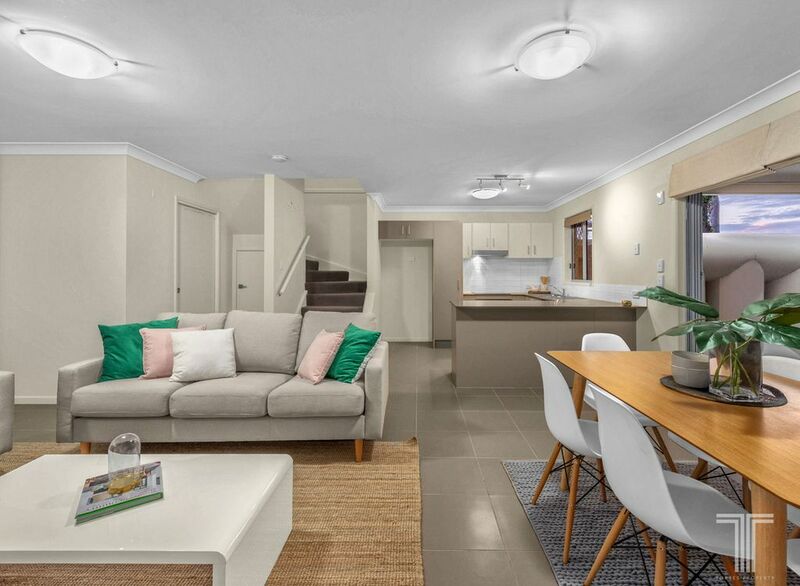 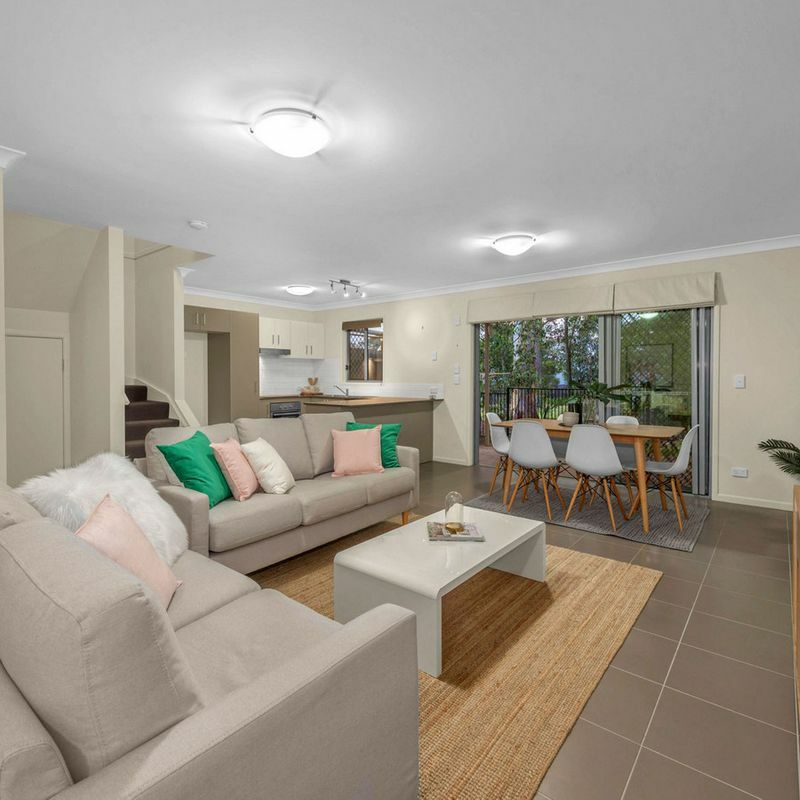 Located only 2 minutes from Calamvale Community College, Calamvale Marketplace and close to bus stops and Beaudesert Road Park. 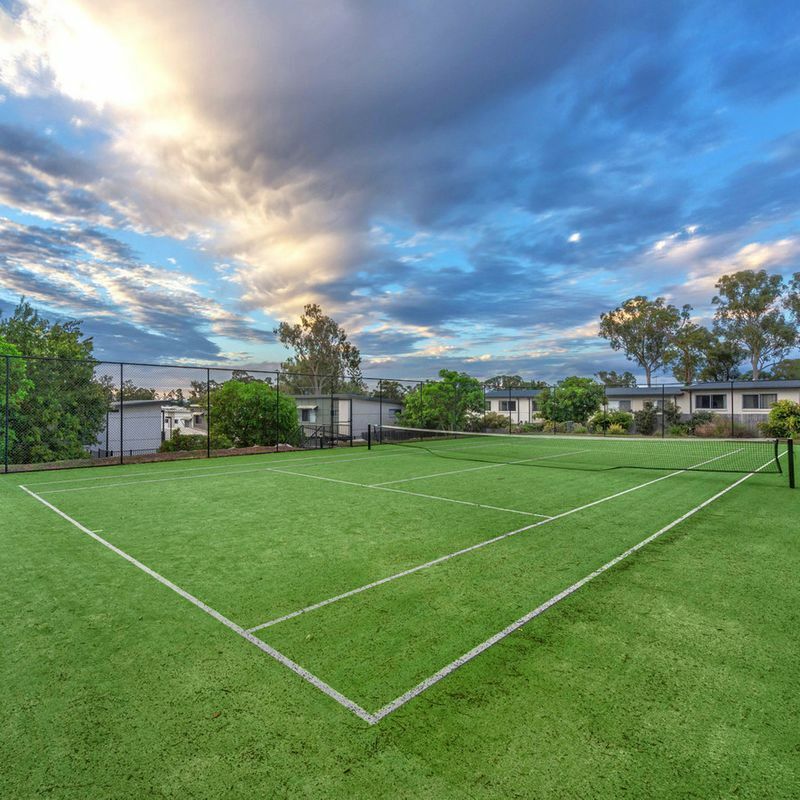 Nearby to Parkinson Plaza, Calamvale Central Shopping Plaza and offering easy access to Beaudesert Road, Logan Motorway and Gateway Motorway.